My last few workshops on shell gold have been particularly rewarding as my participants have all been up for doing a little extra research and experimentation, which has had the effect of pushing forward my experience as well as theirs. 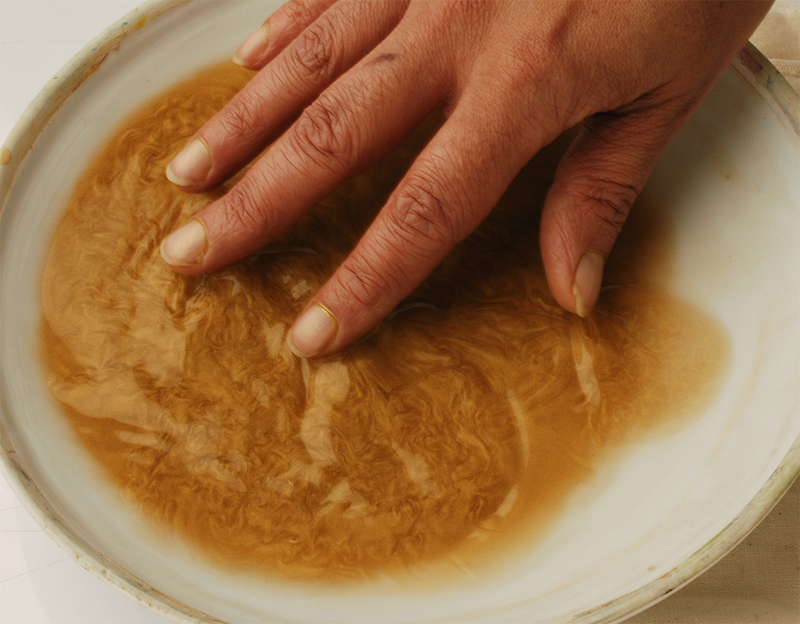 Most participants are motivated to attend because of their frustration with using pre-prepared shell gold, which is invariably too coarsely ground to be useful for detailed work or calligraphy. The process that I teach is based on my experiences with an Indian gold-master in Jaipur. 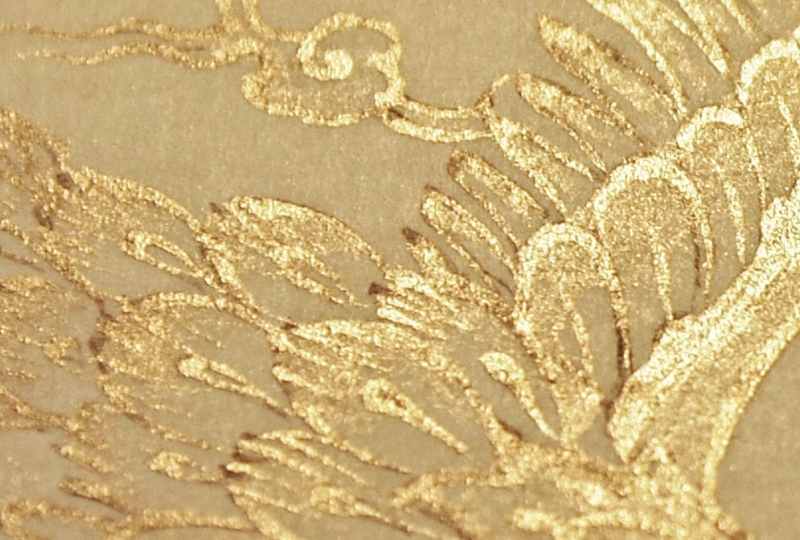 Mr. Patel’s workmen hand-beat 24 carat gold foil into very fine gold leaf. Working their mallets all day, they fill the neighbourhood with the music of their hammering. In the early 1990s, Mr Patel would personally grind this leaf into pigment of the finest division, such as was used four centuries previously in the production of illuminated manuscripts in India and Iran. For my workshops I use leaf from Cornellissen’s or Habberley Meadows, which, as any gilder knows, is also available in a variety of shades. Fine 24 carat gold or silver are preferable for grinding into shell gold, on account of the softness of the pure metals. I have found that only the friction of the hand against a mucilage of honey is acceptable for grinding up the leaf – any mechanical means such as a mortar and pestle, or muller and glass, introduce particles of their own material into the gold, by which it is irretrievably adulterated. We use a rather “industrial” method to process up to two entire books of leaf at a time, introducing the leaves one by one using the side of the hand as a carrier, and the up-draught to bring them down flat onto the mucilage. It takes a few seconds to coarsely grind each leaf into the honey before introducing the next one. It is a more robust approach to that followed by many schools in Istanbul, for example, where students are encouraged to use only the tips of their fingers and a small amount of gum Arabic. I personally doubt whether craftsmen in the royal ateliers of the past would have wasted time on such delicacy, considering the intensity of labour required, and the sheer quantities of shell gold that were consumed in the production of elite manuscripts. The glorious messiness of it all was recently captured in these photographs taken by Dr. Elizabeth Savage from the John Rylands Library. 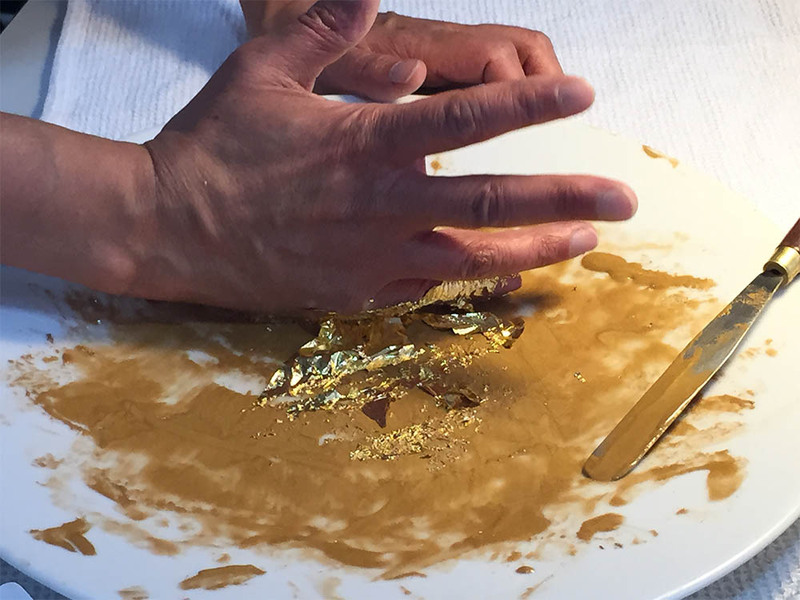 Gold leaf breaks up very easily, and it takes a short while to reduce the particles to the size you get in commercially available gold powder. To get a really fine division you need to rub the mixture hard for at least a couple of hours. After that there is a process of washing and filtering to remove the honey. There is an almost sensual pleasure in swirling about the soft gold particles in clean water, and it looks beautiful at this stage! I would be very interested if somebody could undertake to measure the particle size of a few samples, and compare them to the particles on a royal quality 16th century manuscript. Painters and illuminators of Islamic manuscripts favoured a lavish use of ground fine gold with a gum Arabic medium over the application of gold leaf, perhaps because it matched the greater flexibility of paper as opposed to vellum. 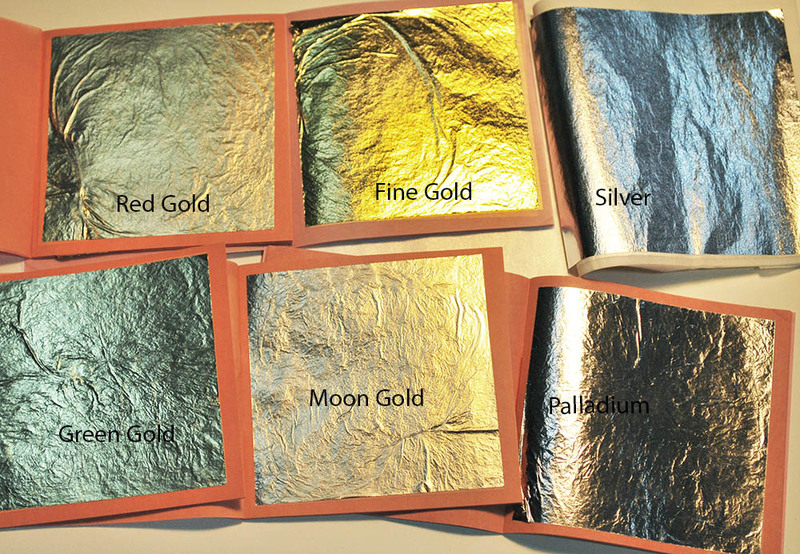 Silver was also used, as well as different shades of gold, the latter being achieved by mixing or alloying gold with other metals. I am intrigued by the matter of alloys. In the “A-in-i Akbari“, Abu-L-Fazl Allami’s account of the administrative institutions of the 16th century Mughal emperor Akbar, there is a detailed section about the preparation of precious metals for the royal mint. The assaying and purification of gold and silver by processes of cupellation were evidently highly evolved, as was the making of carefully graded alloys. Gold, silver and copper are mentioned as the principal components of precious alloys, with the possible addition of lead, which was certainly a component of the purification process of silver but which may also have been introduced into some alloys. 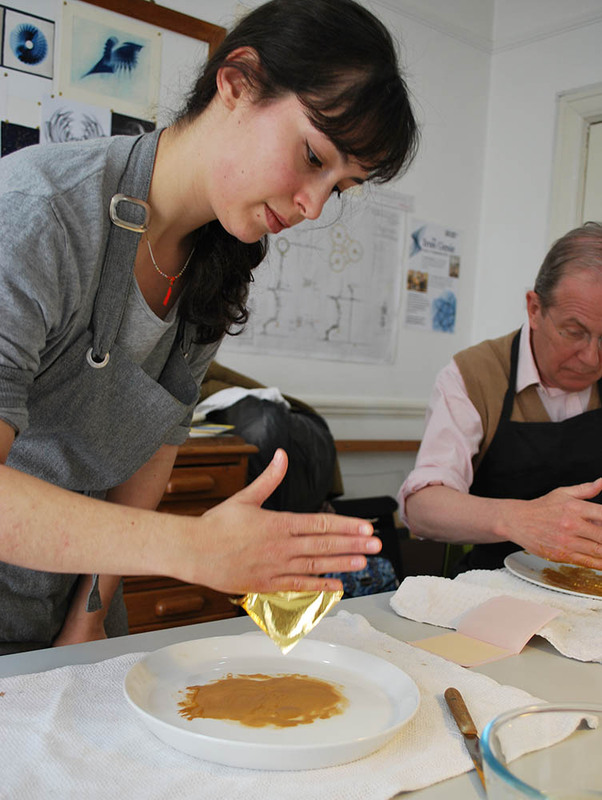 This leads to a question as to whether the different shades of gold that appear in historical manuscripts were achieved by using alloyed leaf, or whether pure metal leaf (fine gold, silver and copper) was first ground to powder and then mixed together to produce the desired shades. 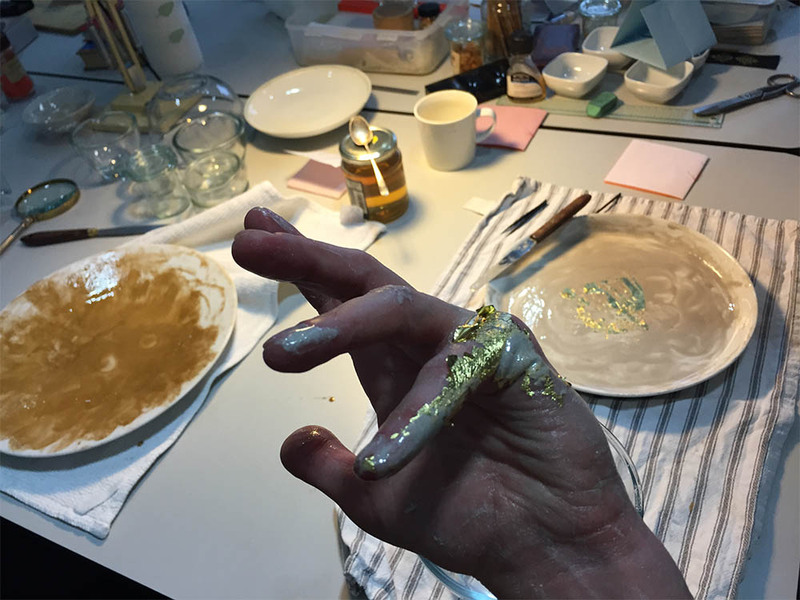 Elizabeth Savage and I experimented with achieving a version of moon gold. We started by grinding up a whole book of silver, and then slowly introduced gold leaves until we got a delicate champagne colour. 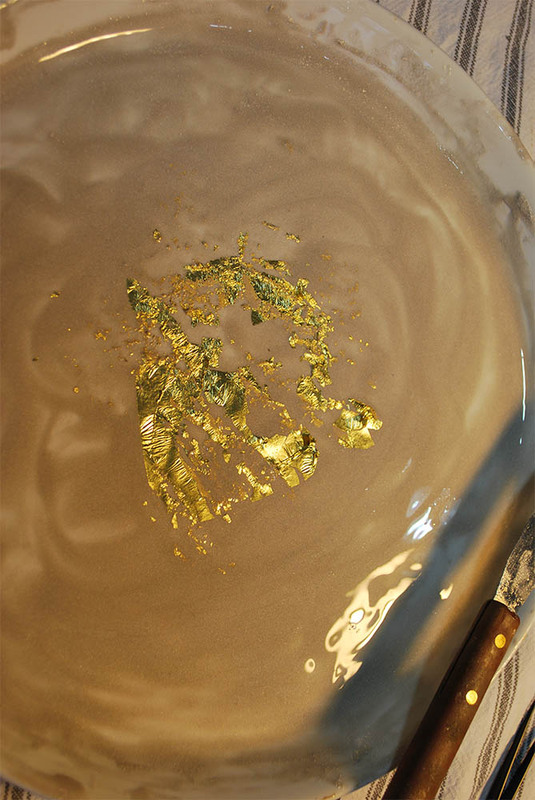 For my own work I often use white gold instead of pure silver, which I achieve by mixing ground silver with a small quantity of gold in a palette – it still looks like a warm silver, but it seems that the natural oxidation process of the silver is then slightly inhibited. 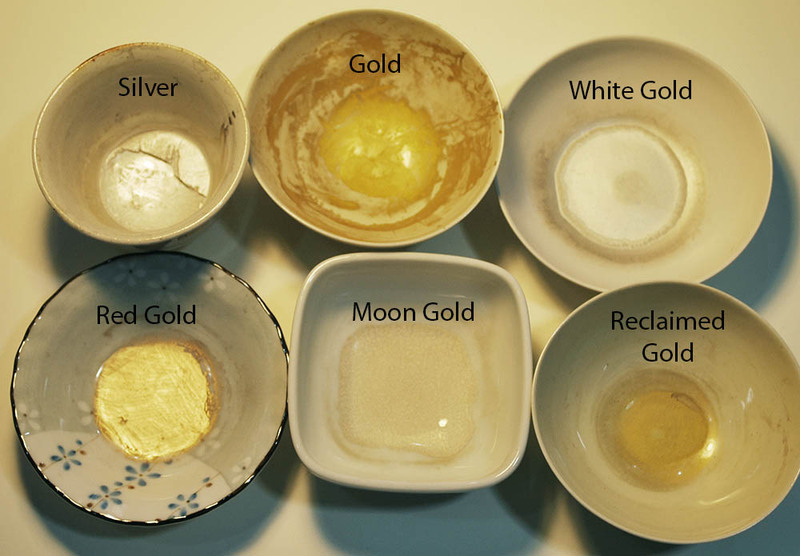 However the mixture is still composed of discrete particles of gold and silver, and one would expect the silver particles to oxidize in any case. Would it be more successful if one ground up an alloy of the two metals? I am somewhat vexed by the issue of silver in Persian and Mughal manuscripts. Why did the craftsmen use pure silver over several centuries, in the sure knowledge that it would turn black, when they had the means to create an almost identical and more stable shade by using an alloy? Conversely, was lead ever deliberately added to silver in order to achieve darker metallic shades for details like armour or dark areas of water? It is worth noting that tin was also used in some vernacular schools, possibly as a substitute for silver, though I am not sure when that practice began. A final word on silver – I have found that a very thin layer of diluted glair applied over areas of burnished silver almost entirely inhibits oxidation (I have an example I created nearly 20 years ago, and it has not changed). This entry was posted in Conservation Techniques and tagged A-in-I Akbari, beating gold foil, calligraphy, copper leaf, Gold leaf, gold leaf alloys, gold leaf colours, gold leaf mixture, gold powder, illuminating manuscripts, Indian illuminated manuscripts, Iranian illuminated manuscripts, Mughal manuscripts, Persian manuscripts, pigments, shell gold, silver leaf, silver leaf oxidation. Bookmark the permalink. Reblogged this on filigranes and fibres. Here is a post I recently guest-authored for the Book and Paper Gathering, an independent blog resource for the book and paper conservation community.